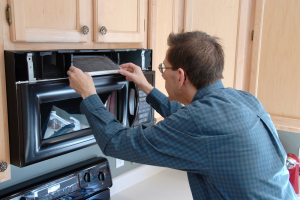 At EZ Appliance Repair Peterborough, we provide professional appliance repairs in Peterborough and the entire GTA. We have been providing exceptional services to the area for over 10 years offering exceptional service and quality workmanship. Your appliances are a big investment. Don’t entrust them to just any company. We are a fully insured and factory authorized home appliance repair, installation, and maintenance service that is dedicated to the finest customer service available in the industry. Offering timely and exceptional appliance repairs in Peterborough, we pride ourselves on our same day service for your convenience. As a locally owned and operated company, we strive to create lifelong relationships with our customers. 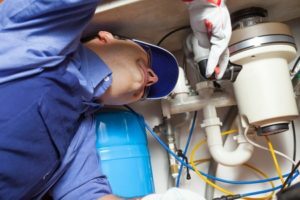 When you are searching for expert appliance repair in Peterborough, the specialists at EZ Appliance Repair Peterborough are the ones to turn to. We repair all household appliances in every room of your home. No matter what appliance needs you have, the professional technicians at EZ Appliance Repair Peterborough have the knowledge and experience to get them working at their optimum once again. We treat all your appliances with the care and quality workmanship they deserve. Our licensed and insured technicians are experienced in repairing all major models and brands on the market today. Our factory certified technicians provide timely, efficient, and complete service so you can get back to your busy life. Our expert technicians are continually updated in training and new technology so they have the most up to date knowledge available in the industry. The appliance industry today has gotten much more technologically advanced and continues to evolve daily. We ensure that our technicians are professionally trained and manufacturer certified to be able to deal with repairs on any new technology to date. We repair appliances made by these manufacturers as well as other brands. As an industry leader, we provide our customers with comprehensive services for all household appliances. From expert repairs, to professional installations, to diagnostic maintenance, we are committed to offering our clients a superior level of customer service from the moment we take your call until we complete your service. We offer same-day service whenever possible. And if you experience an emergency, just call our around the clock emergency line to get a professional on the phone. We know when an emergency strikes, there is no time to lose. We will carefully diagnose your repair issue and find the quickest, most cost effective solution. We will offer you our flat rate estimate. This is the price you will pay with no added costs or surprises. We will answer any questions you may have so you fully understand the scope of the repair. We will guarantee our work. All our workmanship and parts are 100% guaranteed and all manufacturers’ warranties are passed on to you, the customer. If you are not fully satisfied, we never consider it a completed job until you are. Our commitment to you is a full satisfaction guarantee. We believe in caring for your appliances as we would our own and believe you should expect nothing less than the highest quality appliance repairs in Peterborough when you call us. If you are looking for professional appliance installation, look no further than EZ Appliance Repair Peterborough. We provide homeowners with safe and expert appliance installations. Don’t rely on novices when it comes to appliances that require water, electric, or gas connections. 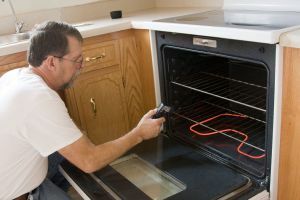 We have the experience and the appropriate tools and equipment to ensure that your appliances are correctly installed and connected. Like many other household systems, your appliances should be regularly maintained for optimum operation. 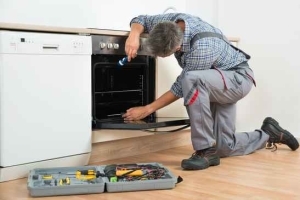 At EZ Appliance Repair Peterborough, we offer completely customized maintenance plans so your appliances will have the best possible lifespan and efficiency.